Sheesh! The day is almost over. 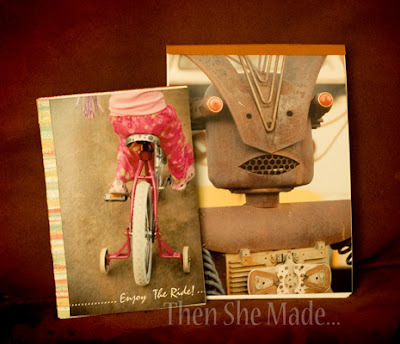 However, it's not too late and here is another really easy idea that can totally be personalized and I love that. and check out the original post, it has a video tutorial that is useful too. Clips of some sort (binder clips or hair clips work great. 1- If your paper isn't already trimmed to size, do that now. It needs to be the same size as your photo. You'll want a good size stack, 30 to 50 sheets is usually what I aim for but you can add as much as you'd like. 2- Clip paper together and hold firm so that all the paper is aligned well on one edge. 3- add a bead of glue all the way down one edge of paper stack and smear with finger. 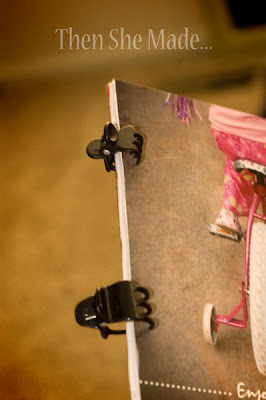 Then move clips and place them over the edge that was just glued (see photo below). This will help the papers stay together and not separate. 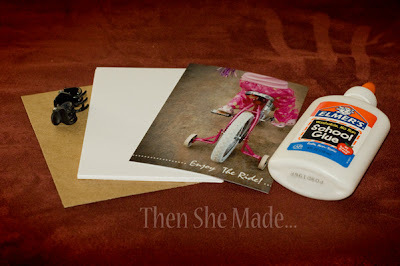 4- Once glue is dry, repeat step three at least two more times until you have a good thick coat of glue on the edge of the paper. 5- Add photo to front of stack and piece of cardboard to the back, clip to hold in place and then add one more layer of glue. 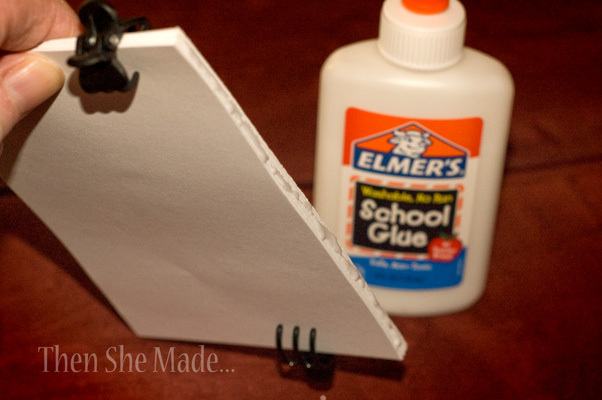 6- Glue a piece of paper to the binding and adhere in place so that a little of it covers the front and a little covers the back like shown below. 7- Let it all dry and that's it. Now you have a fun and personalized notebook. Here's a few I made today. The larger one, since it is made from a 5x7 photo is glued at the top instead of the side. You could very easily make these any size you want and any style. 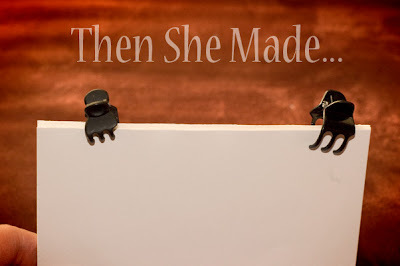 Even if you don't have a photo on hand, you can just add a decorative paper to the top instead. And, add a few other things, like a pen, some envelopes and stamps and you could make a custom stationery kit.